Editor’s note: This column is part of our Best Stocks for 2017 contest. Louis Navellier’s pick for the contest is Nvidia Corporation (NASDAQ:NVDA). If you followed my advice to ignore the “sell in May” crowd earlier this year, you’d be sitting pretty in Nvidia Corporation (NASDAQ:NVDA). In fact, NVDA shares didn’t just survive the bumpy summer months, they thrived: Nvidia is up roughly 80% since the beginning of May. But that’s not even the good news. This is: NVDA stock’s run is far from over. Nvidia Corporation is a leading developer of computer graphic chips. You can think of it as the next Intel Corporation (NASDAQ:INTC). Honestly, the company has been revolutionizing the semiconductor industry ever since it invented the GPU back in 1999. Not familiar with the GPU? Let me explain … A GPU, or graphics processing unit, is a single chip that can process more than two billion polygons per second. In other words, it’s fast — and energy efficient. So it’s no surprise that Nvidia’s GPUs are in hot demand for cell phones, tablets and computers. 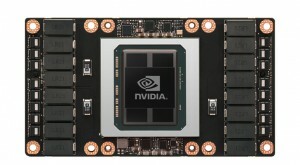 In fact, company management noted the Nvidia GPU is driving growth in all of its business segments. One area worth mentioning: self-driving cars. During the second quarter in fiscal year 2018, more car companies, including Toyota Motor Corp (ADR) (NYSE:TM), selected DRIVE PX, the company’s self-driving platform. NVDA is also partnering with Baidu Inc (ADR) (NASDAQ:BIDU), a Chinese internet company, on its Project Apollo. The platform focuses on providing software, hardware and cloud data service for self-driving vehicles. And Project Apollo will be using Nvidia’s DRIVE PX. In addition, NVDA continues to grab its fair share of the $100 billion computer gaming industry. Nvidia’s GeForce is the world’s largest gaming platform, with 200 million users. And that’s not all: the NVIDIA GPU is also the brains behind leading gaming consoles, like Nintendo Co., Ltd (ADR) (OTCMKTS:NTDOY) Switch. In mid-August, NVDA reported that revenue in its second quarter in fiscal year 2018 surged 56% year-over-year to $2.23 billion, topping the consensus estimate for $1.96 billion by 14%. Also, during the second quarter, adjusted earnings per share skyrocketed 91% year-over-year to $1.01, which walloped analysts’ estimates for 66 cents per share by a stunning 53%! Given these better-than-expected results, it’s no wonder that NVDA shares bounced more than 20% within the past six weeks. But, as I noted earlier, this is just the beginning: For the third quarter, Nvidia expects revenue to increase more than 17% year-over-year to $2.35 billion, up from $2 billion in the same quarter a year ago. Initially, analysts were only looking for $2.13 billion, so they’ve been scrambling to adjust their estimates higher in the past few weeks. In fact, in regards to earnings per share, the consensus estimate has been revised an incredible 20.5% higher in the past two months. Analysts are now expecting 13.3% annual earnings growth in the third quarter. But, given Nvidia’s history of topping earnings estimates, I’m expecting even bigger numbers. That means you still have an opportunity to get on board. But I wouldn’t wait too long, if I were you. Your best buying opportunity will be ahead of the company’s third-quarter earnings report, which is expected in early-to-mid November. So my advice to you: Use any dip in NVDA stock to load up on this red-hot semiconductor stock. Article printed from InvestorPlace Media, https://investorplace.com/2017/09/best-stocks-nvidia-corporations-nvda-stock-run/.